'A cage without walls': Once in South Korea, North Koreans have little chance of getting asylum elsewhereNorth Koreans who have fled to South Korea face a dilemma if they want to try their luck somewhere like Canada: their South Korean citizenship, which they get automatically once they land in the country, bars them from seeking asylum as refugees. Jo Hye Kyung beat the odds: She made a dangerous escape from North Korea 20 years ago and eventually made her way to Canada and a new life. But because she initially settled in South Korea, her life in Toronto may soon be uprooted. Jo, 32, is just one of a number of North Korean defectors in Canada who came to the country by way of South Korea and could now be sent back to a place where, they say, they face systemic discrimination. As soon as North Koreans enter South Korea, they are granted citizenship, but that makes them ineligible to apply for asylum in Canada since South Korea is considered a safe country. Which is why they end up applying for refugee status as North Koreans without declaring their South Korean citizenship. 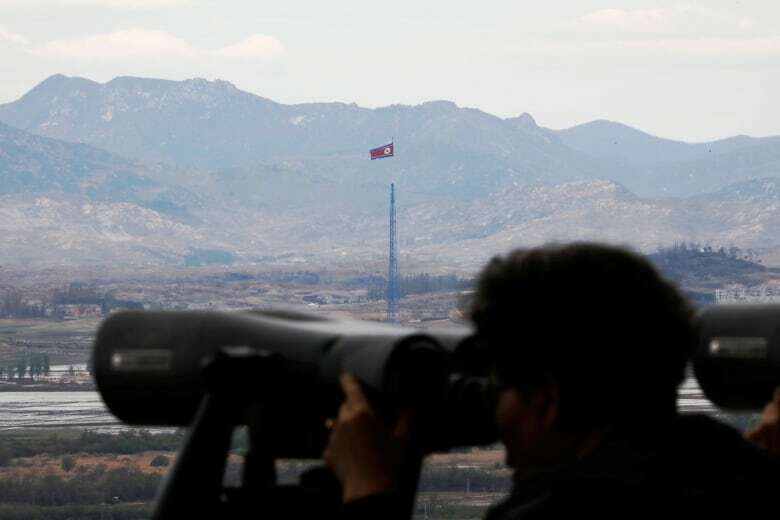 Around 135 North Koreans were in the process of removal as of July although it was unclear how many of those held South Korean citizenship, according to the Canada Border Security Agency (CBSA). Since 2013, Canada has received 171 refugee cl aims from individuals and families of North Korean descent and deported 217 North Koreans. Jo was 12 when she and her family crossed the icy Tumen River from North Korea to China. It was a daring escape on a perilous route that has claimed many lives. Jo says she had no choice, that staying in North Korea would have meant certain death by starvation as the isolated country was in the midst of a famine at the time. Jo, her mother, her father and her little brother made it into China, where Jo says they lived for five years in hiding for fear of being sent back to North Korea. In 2002, Jo and her family climbed over a barrier into the grounds of the South Korean consul general's Beijing office and claimed asylum. "I thought, 'At least they won't send us back to North Korea' [like China might]" Jo said. Jo says she and her family didn't realize that once on South Korean soil, they would automatically be considered citizens. "Until I came to South Korea, I didn't know I had the choice to go anywhere else and because I became South Korean, I realized that I could not go anywhere else," Jo said. Life for North Koreans in the South can be difficult. Defectors report feeling discriminated against by South Koreans. Many report being denied jobs because they speak in dialect or have a North Korean accent or seeing their children bullied at school because of their background. In extreme cases, defectors say they have been threatened or extorted by people claiming to be North Korean agents. When Jo came to South Korea, her North Korean education wasn't recognized, which meant that she had to begin her secondary school education from scratch at 18. She says her classmates told her that because she was North Korean, she did not belong in South Korea, and that she should not try to get an education because North Koreans should know their place in South Korean society. Jo's North Korean dialect left her vulnerable to unwelcome interrogations from strangers. 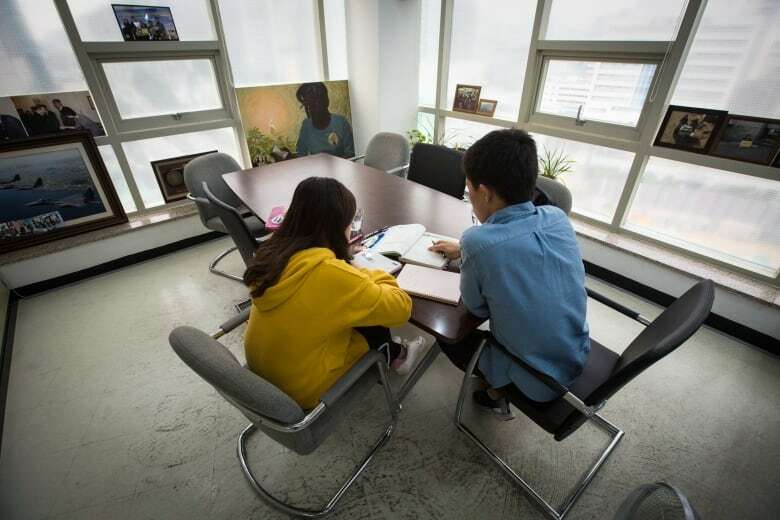 Kim Joo Eun, a lawyer with the Refugee Law Office at Legal Aid Ontario in Toronto, says that Jo's story is a part of a pattern of North Korean defectors who feel rejected by South Korean society and look to emigrate somewhere more welcoming. "The overall trend is that after going through unbelievable treatment and trauma in North Korea, escaping from there and going through very precarious and dangerous time in China, after arriving in South Korea, a lot of them faced a lot of discrimination â" stigma â" against them," Kim said. Jo told CBC that in South Korea, even though she was out from under the repressive, Communist dictatorship of North Korea, she still felt like she was being watched. "We staked our li ves to come to South Korea and then found that defectors are assigned police officers," she said. "I felt like I was being watched by them. It felt like a cage without walls." 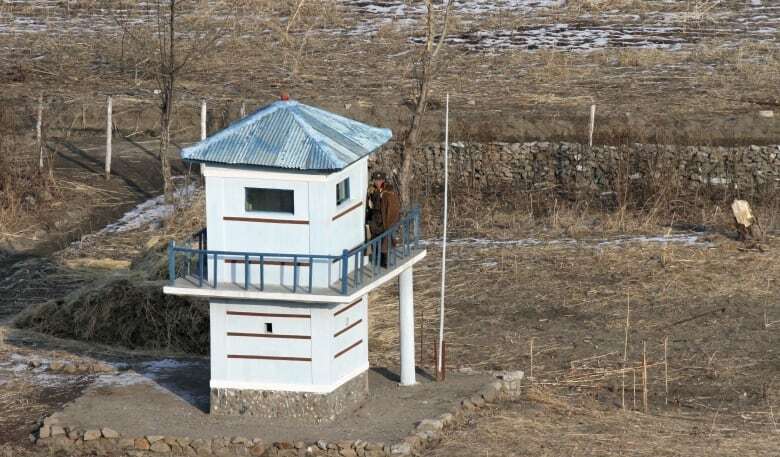 In a statement to CBC News, the Ministry of Unification of the Republic of Korea, responsible for settlement support for North Korean defectors, said police officers are tasked with protecting defectors and resolving any problems they might face. 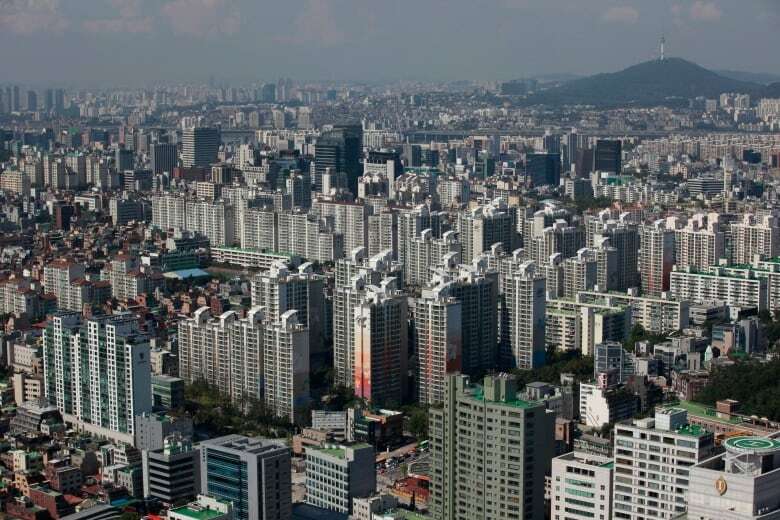 Most North Koreans, the ministry said, settle well into South Korean society, but "some defectors experience discrimination and prejudice from South Korean society." The ministry said it tries to increase public awareness and promote the integration of North Korean defectors through public education and online campaigns. While some defectors have found success in South Korea, many others have remained on the edges of mainstream society. Andrei Lankov, the director of NKNews.org, a Delaware-based site covering North Korean news, and a scholar of Korean studies, wrote in 2006 that typically, "defectors, suffering from low income, alienation and real or perceived discrimination, form a sort of underclass that might even become semi-hereditary." The prospect of her children facing the same type of discrimination she has frightens Jo. "If I had lived alone in South Korea, I could have borne it," Jo explained, "but with a child, I found myself thinking about his future and his well-being. "I thought about passing along the discrimination to my kid. I saw other children of defectors, who suffered amongst their classmates because their parents are North Korean. I desperately did not want to pass that on." After eight years living in Seoul, Jo decided to go to Canada in 2010 along with her parents, her partner, a North Korean defector she met in South Korea, and their four-year-old son. When the family arrived in Vancouver, Jo did not disclose that they had been living in South Korea as citizens. 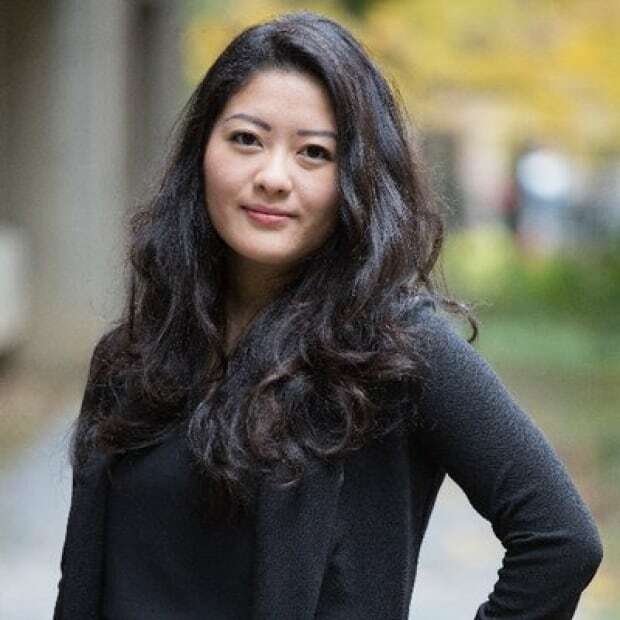 She says she was advised by members of the Korean community in Canada they would have a better chance of staying in Canada if they applied for asylum as North Koreans rather than applying through immigration channels such as the skilled worker or family sponsorship programs. "We don't know the laws. We just believed what we were told," Jo said. "They told us that we had to do that to live here, so we did what we were told." Canada granted the family asylum. The family established themselves in Toronto, and Jo and her partner had two more children. But in July, Jo's family received a notice alerting them that their refugee status could be vacated. They have a hearing scheduled for Oct. 19, and if their refugee status is vacated, Jo, her firstborn son, now 10, her husband, and her parents will go through a pre-removal risk assessment and have the opportunity to file an appeal to stay in Canada on humanitarian and compassionate grounds. Jo, who hasn't taught her children Korean, wonders if it would be best for the younger children, ages 7 and 1, if they were to stay in Canada even if she gets deported. But she says she doesn't want to be separated from them. Kim Joo Eun said he knows of at least 10 North Korean families facing deportation who have won the right to stay in Canada on humanitarian and compassionate grounds. In one case, the family had moved to Canada because of the severe bullying their 14-year-old son experienced as a northerner. This bullying left him unable to speak or make eye contact with others. After coming to Canada, he was able to thrive in a gifted program, the family said in their appeal. What kind of hardship would the family face upon return to South Korea. How well the family has established themselves in Canada. Immigration, Refugee, and Citizenship Canada (IRCC) said in a statement to CBC News that "all cases are assessed individually" by the Immigration Refugee Board. Under the United Nations convention on the status of refugees, North Koreans with South Korean citizenship are excluded from refugee protection. "There are no plans to make North Korean asylum claims special cases," the IRCC said in its statement. But some Canadian senators say North Korean defec tors' claims should be treated as special cases. Conservative B.C. Senator Yonah Martin said she supports a 2016 recommendation by a Senate committee on human rights to make an exception for North Korean defectors in the Immigration and Refugee Protection Act so they would qualify for refugee status in Canada. "In light of their vulnerability and unique circumstances, I believe Canada should allow them to remain under humanitarian and compassionate grounds," Martin said in a statement. Jo says she and her family have not given up their fight to stay in Canada yet. "I would like to ask [Prime Minister Justin] Trudeau, Hussen or anyone â" please meet with us and listen to our stories." Jennifer Yoon is CBC Montreal's Peter Gzowsk i Intern for 2018.